Australia-based RPCVD developer BluGlass announced that it has entered into a collaboration agreement with a "well-funded" microLED company to investigate the use of its Remote Plasma Chemical Vapor Deposition (RPCVD) production technology to produce RGB MicroLED devices. 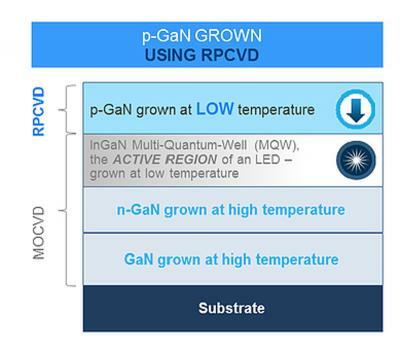 BluGlass estimates that Micro-LED production will benefit from its low-temperature RPCVD manufacturing solution. The two companies will work together to demonstrate proof of concept of a unique red, green and blue (RGB) microLED display application. BluGlass will be paid for its deposition services and retain all RPCVD related IP rights resulting from the collaboration.